This episode presents the most important backend features included in the RSTickets!Pro component. 7. modify ticket information: department, status, priority, staff member, customer. The "Departments" tab allows you to add new departments and set their permissions. In the "Staff Groups" tab, you can add new groups and set their permissions. In the Staff Members tab, you can add new members and assign their departments. You can add an unlimited number of priorities and translate them in other languages. You can add an unlimited number of statuses and translate them in other languages. The knowledgebase can be used to add predefined ticket answers. You can send email messages to customers for each ticket event. You can configure here the component general behavior: messages, tickets, avatars, CAPTCHA, emails and the autoclose option. 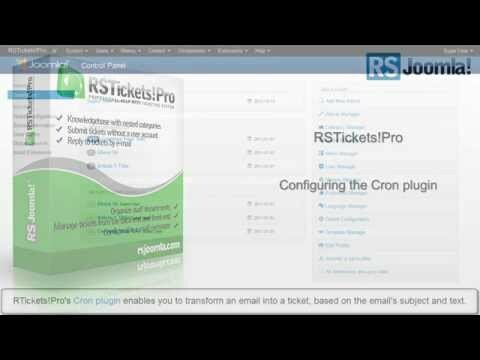 The RSTickets!Pro functionality can be extended with the RSTickets!Pro Cron plugin, which allows you to parse tickets replies as emails. 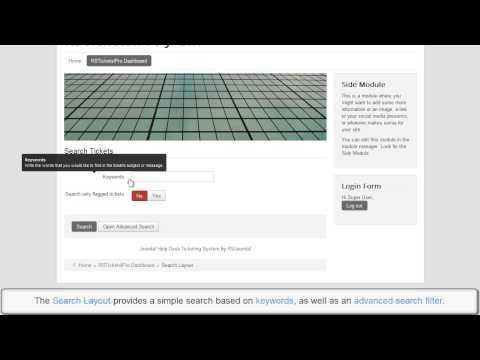 You can use the Import Plugin to migrate data from RSTickets! to RSTickets!Pro.